TO generate a more “competitive presentation” for the widely anticipated new Philippine tourism slogan, acting Tourism Secretary Ramon R. Jimenez Jr. has announced the rebidding of his agency’s branding campaign. 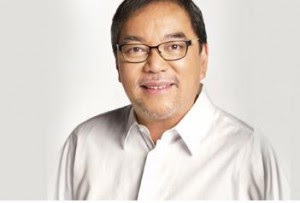 This, after only one advertising agency, BBDO Guerrero, submitted a bid under the old terms of reference (TOR), where the project cost P13 million. This allowed the Department of Tourism (DOT) to declare the initial bid a failure, officials said. DOT Spokesman Benito Bengzon Jr. told the BusinessMirror the new bid project would only cover the creation of the slogan or “concept,” and not the actual production of the ad materials. “Some of the deliverables in the original TOR were removed,” he said in a text message. As such, bidders will no longer be required to produce the creative materials for the branding exercise, such as audio-visual presentations/TV commercials, brochures and posters. This made it possible for the DOT to reduce the budget for the project to only P5.6 million, he added. Jimenez said he had to “seek the approval of the [Government Procurement Policy Board], if we could rebid the project.” He was advised that as head of the agency, he could “amend the TOR if it could be shown that pursuing the project would be disadvantageous to the government. We could thus declare a failure of bidding,” explained a DOT source familiar with the project. According to the new “Request for Expression of Interest” issued by the DOT’s Special Bid and Awards Committee and published on the agency’s web site, prospective bidders in the “Philippine Branding Campaign Focusing on Tourism” will be required to submit a “nonrefundable fee of P100.00” to the DOT cashier by October 10, if they want to secure eligibility documents or a checklist. Shortlisted bidders will be announced on October 12, and can then secure official bid documents until October 30. Bid documents may be secured upon payment of a "nonrefundable amount of P5,000" to the DOT cashier. Bidders have only until October 31 to submit their bids. Accepted bids will be asked to “make a pitch” to DOT officials on November 21. The bid project is described as the “development and implementation of a branding campaign that shall highlight the competitive advantage of the Philippines as an international and domestic tourist destination.” The contract duration for the winner is two months. Jimenez, it will be recalled, had announced to the media that seven of the top advertising agencies in the country were already working on the branding effort. Only BBDO Guerrero was left to pursue the project. It was the same agency that conceptualized the “Wow Philippines” tourism campaign under then-Tourism Secretary Richard Gordon. A DOT source confirmed the withdrawal of “four or five agencies,” which had participated in the initial bid, “because they found the [P13-million] budget insufficient.” The sixth bidder, the source added, was “disqualified on a technical rule,” thus leaving only BBDO. Industry sources said the other agencies that had prequalified in the initial P13-million bid were J. Walter Thomson, McCann Erickson, Dentsu Inc., J. Romero and Associates Inc., Lowe Philippines Inc. and Young & Rubicam. It was learned that the DOT did not allow Y&R to proceed with its bid. He said the DOT expects about 30 advertising agencies to express interest in the rebid of the new tourism-slogan project, thereafter, this would be whittled down to about seven prequalified for the actual bid. “Of course, it could also be less than seven, it’s not a fixed number,” he said. Despite the project rebid, Jimenez was still firm on unveiling the new tourism slogan “before Christmas. Kailangan matapos na,” the source said. An official of BBDO Guerrero, who declined to be identified, said the agency “will definitely join” the rebid. Labels: advertising, BBDO Guerrero, Benito Bengzon Jr., Dept. of Tourism, marketing, Philippines, Ramon Jimenez Jr.